In an increasingly digital world, it is easy to forget about the artists behind the screen that craft the words that we read. Hiding behind two different blogs, sharing information, pictures, and her life story is the bubbly and energetic Jessica Debanné. 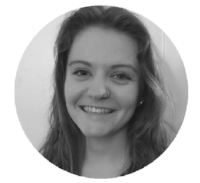 Jessica is a sushi-obsessed international relations student from Montreál, Canada who talks so much that she loses her voice (She blames this on vocal nodules, just like in Pitch Perfect!). Her cousin recognized her passion for communication, and when Dressember posted about the editorial internship on Instagram, Jessica’s cousin commented encouraging her to apply. As a first time Dressember advocate, Jess wasn’t sure what would happen but figured there was no reason not to try. She had been writing for a personal blog and loved the idea of using her passion to educate people on human trafficking and what can be done to eliminate it. Jessica owes her love of traveling to the many travel opportunities she was given when she was younger. After high school, she lived and studied in Germany for a year before returning home to go to university. She had always planned on going to law school upon her return, but realized her motivation for doing so wasn’t where her heart was anymore. Her goals used to be oriented around finding a career path that would provide a stable job upon graduation. While that is obviously still important, Jess has more recently been confronted with how lucky she’s been in avoiding injustice herself and found a passion for working with those facing injustice. As she studies international development with minors in communication and world religions, Jess is working on understanding what is in her future. Jessica’s friends had been participating in Dressember for a while before she finally decided to face the Canadian winter and give it a go herself. She admitted that while the challenge wasn’t intimidating because of the fashion challenge (she loves dresses) the whole living in Canada thing was a concern of hers. Luckily, Jess has great friends and they all went thrifting for outfits including many layers and tights. I’m inspired by Jess’s admirable self-reflection as she continues her journey of self-discovery. She admitted that she does potentially see herself pursuing a career in the legal field, but no longer due to job security and financial stability. She sees the importance of legal frameworks for protecting survivors and as a tool for advocacy. If that isn’t where she ends up, she is also considering working for an NGO where she could use her knowledge of international development to create programs for those ready to leave “the life” and reenter society. Whether she stays in Montreal or finds herself in a city across the globe, I can’t wait to see what adventures Jess will find herself on. I see how caring she is and how she lets her compassionate heart guide her as she works not only for the youth center but also for a child protection organization on top of being a student - and an editorial intern! With a love and talent for words and communication, I’m sure this internship will not be the last time we hear from her. If you’re ever looking for a way to be in her brain for a little bit, you can check out her personal blog “Just Jess” to get your fill of her talented writing in between her posts here. We are so thankful to have her. Want to be the first to hear when we are hiring? Sign up for our weekly newsletter with trafficking resources, hiring announcements, and more!